We have 2 retail units that are street level in Sir James Clark Building in Paisley, available to lease. They are both in prime position being across from Morrisons in Paisley and have windows ready for branding advertising. 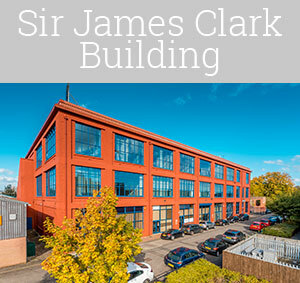 Sir James Clark Building is easily recognisable and is in a great location. Access to the units from the main road. Offices above on the 1st and 2nd floors, main building has secured door entry. 1080 square foot, double entry door with an open plan area. Internal office ideal for meetings, small office at rear of unit, could be converted into either a working space, or a toilet. Lots of power sockets, freshly painted white and will be carpeted for next tenant. 1091 square foot, double entry door with a layout suited to a medium sized team. 3 internal offices, small WC and a break-out room at the rear of the unit. Ideal for either an internal team or for running workshops. Lease can be 12 months +, affordable cost per square foot rent and service charge. Date of entry depends on the work required before new tenant moves in. We can renovate units so they are fit for purpose, time constraints and budget permitting. Parking is included in the lease agreement, number of permits given based on square foot of unit. A landmark office complex, there are four historic buildings, each with unique character that you can lease. We are located within Paisley Town Centre and Glasgow International Airport is only a 5 minute drive away. Our buildings are prominently situated on the banks of White Cart Water in an elevated position and benefit from excellent views. Each building provides a good working environment; Atriums, reception areas and meeting rooms ensure a professional impression is given to your visitors. We also have a Café, Fitness Centre and Private Nursery on-site. Whether you are looking for a small office, or a large office space, we are confident you will be impressed if you visit Abbey Mill Business Centre.